18 May 2017, Singapore - Race promoter Singapore GP Pte Ltd today unveiled Grammy Award-winning record producer, songwriter and powerhouse DJ Calvin Harris as the final Padang Stage act for the 2017 FORMULA 1 SINGAPORE AIRLINES SINGAPORE GRAND PRIX. Harris will close the race weekend with a full-length performance post-race on Sunday, 17 September. 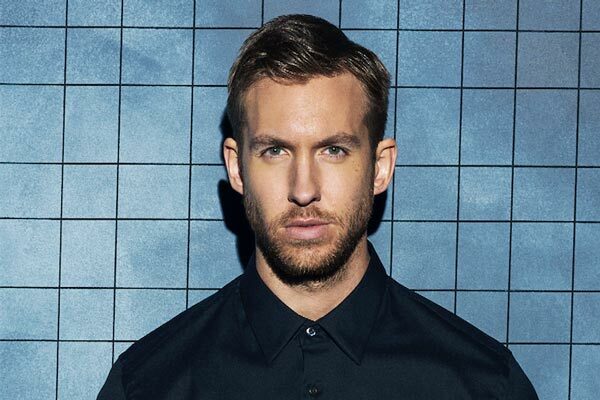 Calvin Harris joins the spectacular line-up of international headliners at the Marina Bay Street Circuit, which already includes Ariana Grande, Duran Duran, George The Poet, Lianne La Havas, OneRepublic, Seal and The Chainsmokers. Access to Calvin Harris' performance is included with any three-day race ticket (from S$298) or any Sunday single-day ticket (from S$198). See Annex A. Having broken world records and dominated global music charts, Calvin Harris stands as the figurehead for modern dance music. He became the first British solo artiste to reach more than one billion streams on Spotify, and currently has over five billion streams across all major streaming services, five billion video views, and 10 consecutive platinum singles. As one of the most successful artistes of all time, Harris has collaborated with international stars including Rihanna, Florence and The Machine, Ellie Goulding and Pharrell Williams to name a few. He has performed for millions of fans worldwide, and continues to headline the largest music festivals across the globe including Coachella, Apple Music Festival and the Billboard Hot 100 Music Festival. Over the years, Calvin Harris has received numerous accolades including a Grammy Award for Best Music Video, British Academy's Ivor Novello Award for Songwriter of the Year, a Billboard Music Award for Top Dance/Electronic Artist, two MTV Video Music Awards, an iHeartRadio Music Award and a Future Icon Award. Harris was also named GQ UK Man of the Year in 2016. His hit single 'This is What You Came For' featuring Rihanna marked his third collaboration with the singer, and crossed 9.5 million in sales worldwide. The accompanying music video crossed one billion views on YouTube/Vevo. Similarly, the music video for his next single 'My Way', released in September 2016, surpassed 200 million views on YouTube/Vevo. Harris's latest studio album Funk Wav Bounces Vol.1 - to be released on June 30 - will feature 19 of today's top global superstars and critically acclaimed new artists. His first single off the album, 'Slide Ft. Frank Ocean & Migos', has sold over 1.8million copies, exceeded 250 million global streams and currently sits at the Top 5 on iTunes in 50 countries. Fans can look forward to partying the night away with his radio hits including 'My Way', 'Summer', 'How Deep Is Your Love' and 'Feels So Close' when he performs at the Marina Bay Street Circuit on Sunday, 17 September. Tickets for the 2017 FORMULA 1 SINGAPORE AIRLINES SINGAPORE GRAND PRIX are available for sale at www.singaporegp.sg, via the ticketing hotline +65 6738 6738 as well as all authorised ticketing agents. The artiste line-up and schedule is subject to change. More support acts will be announced in the coming weeks. For the latest 2017 FORMULA 1 SINGAPORE AIRLINES SINGAPORE GRAND PRIX programme line-up, visit www.singaporegp.sg.